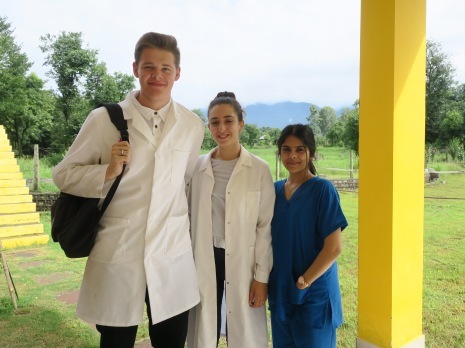 Our medical intern Claudia talks about her fantastic experience working at Karan Hospital in Palampur, India. The truly inspiring work that the doctors and staff in these hospitals do is something that is great to witness and experience first-hand. Read to find out about how a day in this beautiful area of the world would go. Most days we were lucky enough to wake up to an amazing view of the mountains. We could enjoy this as we walked up the hill to catch the bus to the hospitals. 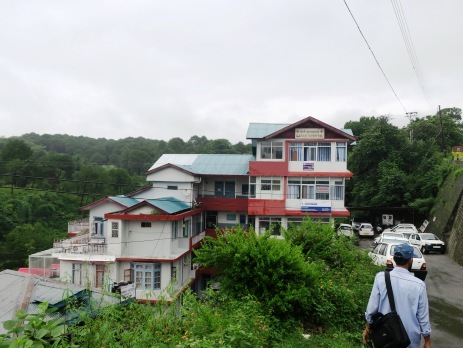 During our time in Palampur we went to three different hospitals. A women and children’s hospital, a general hospital, and an internal medicine clinic (which was sort of like the GP). When we were at the women’s hospital, we were split into two groups of two. One pair with the gynaecologist and one pair with the paediatrician. With the paediatrician, we got to see lots of cute babies and young children. With the gynaecologist you see lots of pregnancy check-ups. The staff are all really friendly and they are very open to answering questions. Within the first half an hour of my placement in the hospital we got called upstairs to see a baby being born! An amazing way to start my internship. The general hospital (called Karan Hospital) is much busier than the women’s and children’s hospital. So much so that whilst one patient is being seen by the doctor, the following patients on the list will be sitting waiting in the same room! This is something that we found very odd, coming from UK hospitals where patient confidentiality is extremely important. Karan is a drop-in hospital and has to deal with many different types of health problems. It made the experience really exciting as you never know what you’re going to see next. At this hospital we saw ultrasounds, endoscopies, x-rays, labs and surgery so there was a lot to observe in our short time there. At the internal medicine clinic, we got to see ultrasounds and treadmill tests, (used to measure heart rate whilst exercising for those with potential heart problems). Although not like the busy hospital, the clinic was still varied and exciting. The doctor always made sure to explain to us in detail about the problem the patient presented with and how they treat it. At about 2pm we headed back to the accommodation for lunch. This usually consisted of rice, chickpeas, vegetables and chapatti. 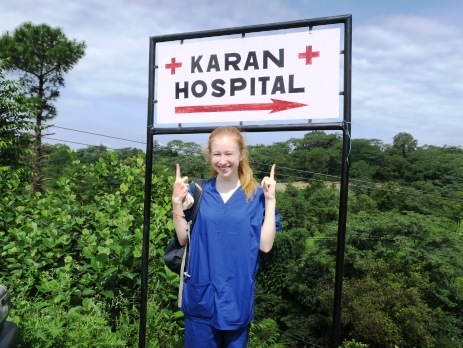 On many afternoons, there was surgery at the Karan hospital so a group of four of us would head up to see an operation after lunch. I got to see a gall bladder removal due to gall stones. It was keyhole surgery so we got to see it all on the screen. It was really interesting to watch. If you’re not going to surgery you might take a trip up to the market. Here we could wander round and pick up some of the western foods we missed most from home. Cadbury’s chocolate, Oreos and digestives were just some of them!. We also bought locally grown tea to take home. For the rest of the afternoon we relaxed, read, played cards and a lot of games of Uno! It was nice to spend time with the group and this way you get to know everyone really well. Once a week we had yoga and a lecture in the evening. Yoga was a really fun experience and we all really enjoyed the lectures where we got to learn more about the Indian culture and the medical system. We had dinner at 7pm and after dinner (weather permitting!) we all grabbed a yoga mat and went up to the roof. Here we chatted and watched the stars before heading to bed to get some well-earned sleep.